The Pugilists from Punjab today won 2 medals with the inclusion of a Gold and a Silver in the ‘Khelo India Youth Games’ currently underway at Pune. In Basketball, three different teams from Punjab entered the final. Till now, Punjab has a total of 61 medals in its kitty which includes 20 Gold, 16 Silver and 25 Bronze. 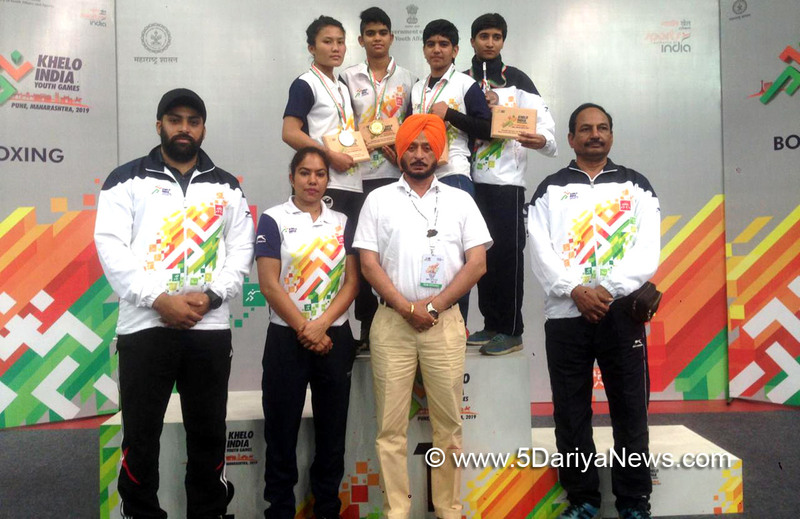 The Additional Chief Secretary (Sports) Mr. Sanjay Kumar has congratulated the medal winners while extending best wishes to the teams making it to the finals.Disclosing this, the Chef De Mission of the Punjab contingent and the Director, Sports Department Mrs. Amrit Kaur Gill said that in the 48 Kg weight category of U-17 age group in Boxing, Ekta Saroj won the Gold while in the 54 Kg category, Poonam bagged the Silver. In the Basketball U-17 Boys as well as Girls and U-21 Girls events, the teams from Punjab entered the finals.